The Marine Systems Institute at Tallinn University of Technology is a university education, research and development institution whose competence and responsibility involves basic and applied research of the Baltic Sea physical and biogeochemical processes in order to better understand and model those processes in the context of changing atmospheric, terrestrial, and human impacts. The studies are important for development of marine information systems and forecasting methods. MSI is using different approaches for the monitoring of the state and rapid changes in the marine environment – research vessel SALME together with several systems used in modern oceanography, like Ferrybox systems installed on ships of opportunity and on board of the research vessel, instrument packages installed on surface buoys or vertical profilers and towed undulating devices. 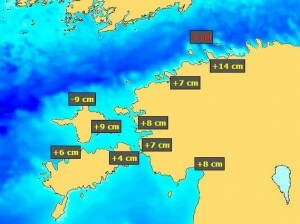 Remote sensing techniques are used daily to map different environmental parameters over a large sea area. Near real-time data enhance the knowledge base on the actual processes in the marine environment and potential harmful effects (oil spill, harmful phytoplankton blooms). Information obtained by autonomous measuring systems together with studies on seawater chemistry, plankton and benthic organisms enables to understand the interactions between physico-chemical and biological processes and to estimate the influence of biogeochemical processes and human activities to the dynamics and distribution of marine organisms. One of the major tasks and goals of the Marine Systems Institute is the operation of various forecasting models and improvement of their reliability for marine forecasts.